When you’re picking your horse’s stall, the composition of his manure is probably the last thing on your mind. Nevertheless, analyzing your horse’s manure can reveal important information and is one of the best ways to monitor your horse’s health. What Should I Look for In My Horse’s Manure? You can often pick up on any health changes in your horse from the way that his manure looks. When assessing his manure, be sure to look at these five areas. Your horse’s manure output depends on his diet, how digestible his food is and other health factors like his dental condition. According to researchers at Rutgers University, the average horse produces 35 to 50 pounds of manure per day. * Over the course of a year, this can add up to about 9 tons of manure! Miniature horses will produce less manure, while some large draft horses will produce more. The average horse passes manure anywhere from 4 to 12+ times a day. Stallions and foals often defecate more frequently than mares and geldings; stallions often “scent mark” their territory, and foals need to pass more waste because of their liquid diet. Horses with a diet that includes high-fiber foods, such as pasture and hay, will have lower digestibility which leads to more manure. Even though horses efficiently handle fiber through their gut bacteria and cecum, they can’t digest all the fibers they eat. Diets high in concentrates (i.e., grains) are more easily digestible, but can lead to other health concerns. Horses need a substantial amount of fiber to support proper gut health. It’s important to know how many times per day your horse defecates. Decreased or absent manure can be a serious issue and warrants a call to your veterinarian. This is often a sign of an obstruction, partial obstruction or impaction somewhere along the gastrointestinal tract and could result in death if left untreated. Impactions can result from environmental factors such as sand or dirt intake. However, not all decreased manure production is the result of a serious complication. If you notice your horse has decreased manure production, check with the barn manager to make sure he’s being fed the appropriate amount and whether he seems to be finishing all his food, or when his stall was last cleaned. If he’s not eating with his normal gusto, check his vital signs, listen for gut sounds and call your veterinarian immediately if anything is out of the ordinary. Since diet affects the color of a horse’s manure, you can expect it to be anywhere between green, brown or black. A horse that eats more dried grass will have browner manure, eating lots of alfalfa can produce a greenish tint, and adding in beet pulp may give the manure a reddish tinge. Be on the lookout for a few concerns like if the manure has a blood-red hue or a mucous coating that makes the manure look slimy or gray (may be the result of a slow transit time through the gut). It’s important to know the normal color of your horse’s manure and note when any changes take place. Horses rely on bacteria in their gastrointestinal tract to help digest much of the forage and fiber they eat. Horses with intestinal conditions that alter the bacteria in the gut, ulcers or have a sudden change in diet will have unusually foul-smelling manure. If his manure smells like rotten meat, his diet may have too much protein; however, if it smells rancid, it may indicate that he’s receiving an excess of carbohydrates. Depending on the severity of the digestive upset, you may also see a change in color and consistency along with the rank odor. Healthy manure should have a glossy shine, indicating normal hydration, and forms neat, somewhat firm, balls. You should be able to break up the manure balls easily. If your horse’s manure is dull, dry or hard, he may be dehydrated, and you will need to increase his fluid intake immediately. If that’s the case, you can try soaking hay, pellets or cubes in water or provide him with a soggy bran mash. The material that makes up the manure should be broken down with no identifiable pieces of hay or other feedstuffs. The presence of stems or intact grains in the manure can indicate that your horse may not be chewing properly. It’s best to call your veterinarian or equine dentist to have his teeth checked; he may need a thorough exam and floating. If your horse’s manure doesn’t form neat balls, it may indicate a more serious health issue. Piles of soft or liquid manure could also be the result of stress, such as after a hard work out. If your horse has soft or loose manure, take his temperature. If he has a fever, contact your veterinarian. Think about what you’ve fed your horse over the last day or two; a change in diet could lead to misshapen manure. Giving your horse certain medications, such as an antibiotic, can also upset his intestinal flora. Check to see if any other horses in the barn are showing signs of diarrhea. You can also have your veterinarian analyze a sample of the diarrhea-type manure, so she can evaluate for parasites and microscopic evidence of blood. Bacterial infections, such as Salmonella and Clostridial bacteria, can be contagious to other horses, so be sure to practice good hygiene if your horse has diarrhea! Foals have immature immune systems and can dehydrate easily, so if your foal develops diarrhea, contact your veterinarian right away. However, there is one exception to the rule: most foals will have loose manure 7 to 10 days post-birth, and again at 30 days, when their dams go through a heat cycle. Known as foal heat scours, this diarrhea occurs as the foal’s gastrointestinal tract switches over to normal bacterial flora. These foals will not show signs of fever or other illnesses, although they may eat manure (coprophagy) to help them populate their gut with bacteria. This is a transient condition that only lasts a couple of days. When looking at your horse’s manure piles, check closely to see if you detect any worms. If you notice parasites, your horse probably needs to be dewormed. You may also notice parasites a day or two after your horse has been dewormed due to purging; this is normal. 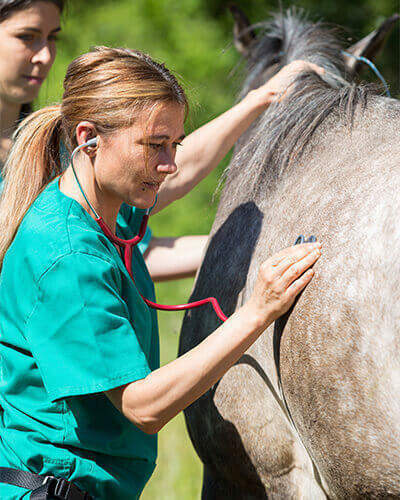 However, if your horse hasn’t been dewormed recently and you discover worms, contact your veterinarian immediately to have her analyze a sample of the manure and discuss an appropriate deworming plan. 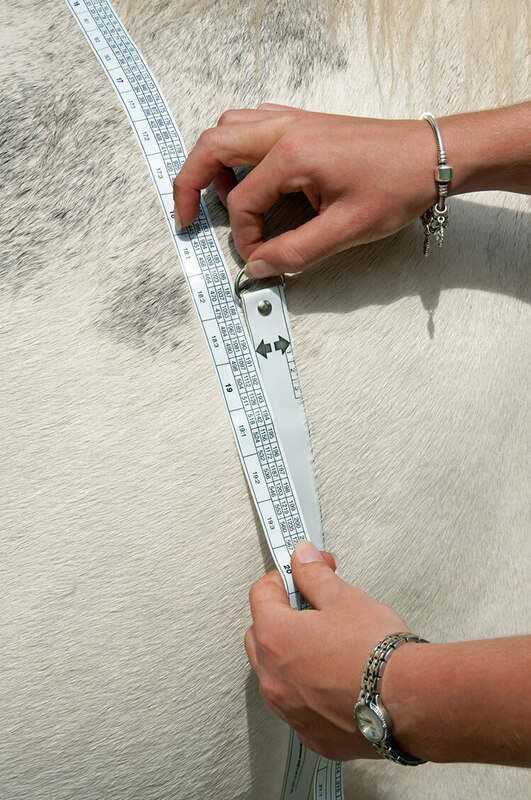 These five factors are important indicators of your horse’s health. Keeping tabs on his manure production and noting any changes in his droppings will help you to catch any potential health issues early on. *Westendorf, Michael and Krogmann, Uta. “Horses and Manure.” New Jersey Agricultural Experiment Station. September 2013. https://njaes.rutgers.edu/fs036/.